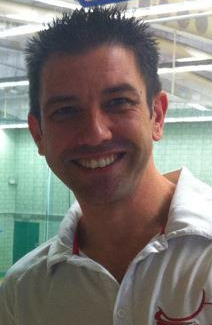 The league would like to send our own personal congratulations to Chris Molloy (South Staffs), on achieving his ‘A’ award umpiring qualification on Sunday 14th April in Luton. Chris has been working with his mentor, Bernie Young, for the past 18 months so it is well deserved. Once again Chris, very well done! Congratulations to Dudley Leisure N.C. on becoming Champions of Division 2 winning every game this winter season. The squad performed well every match day whichever combination their coach, Chris Groves, chose. 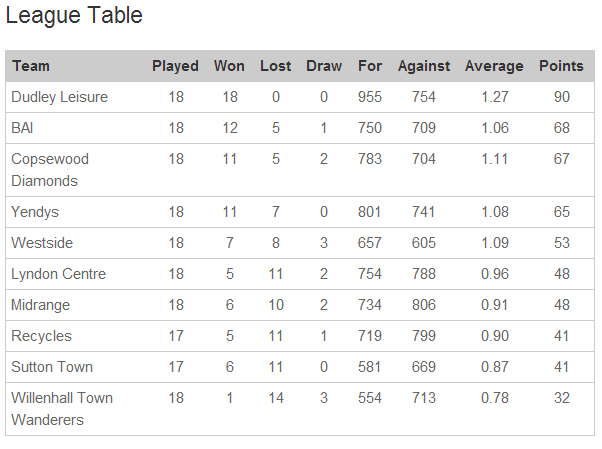 Well done also to Midrange who have had a wonderful first season in the regional league, Division 2. Coming from a local league into region is a big step up and they finished in 7th position with 48 points. Sally Chambers, their coach is pleased with the squad’s performance this season. There are still some matches yet to be played but the tables reflect how teams stand at present.